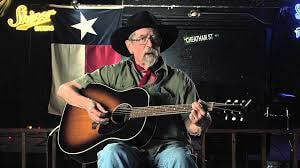 Mon-Thur June 10-13, 1:00 pm-4:00 pm @ Devil's Backbone Tavern (4041 FM 32, Fischer, TX, 78623); Young Songwriters will perform LIVE as part of the Thursday Night Pickers' Circle!!! Mon-Fri June 24-28, 1:00 pm-4:00 pm @ Buck's Backyard (1750 S. FM 1626, Buda, TX 78610); LIVE Performance by Young Songwriters' Sat. June 29th as part of BIGFest 2019!!! Live Performance by Young Songwriters is part of the lineup for Day 2 of BIGFest Sat. June 30 at Buck's Backyard, and will be broadcast live by Radio Free Texas! 1:00-2:00~Guest artists introduce themselves, play a song or two, talk about their own processes for songwriting. Young songwriters are encouraged to ask questions and interact with guest artists during this time. 2:00-3:15~Break into individual or small groups to work on new original material or edit previously written originals; guest artists and Central Texas Writing Project teacher consultants will work with young songwriters individually or in small groups to help craft chord progressions, rhyme schemes, or anything else that could use, to quote Kent Finlay, "5 more minutes" of work to make it just right! 3:15-3:50~Regroup, workshop material with other young songwriters and daily guest artists. 3:50-4:00~Break down, pack up, load out. Cost for workshops includes t-shirt, notebook, and daily workshop interaction with multiple established, working Texas songwriters!! !